There is still time to be included in the Playbill for CLUE THE MUSICAL. The WCT Playbill is a great way to advertise! As always, our ads are viewed by consumers who appreciate your involvement with WCT and in return support your business. The WCT Playbill program incorporates interesting articles and information as well as business ads that are read by our patrons as they experience a night at their community playhouse. Advertising in the Playbill helps your business and ours! for Underwriting our 2019 season! Ace Copy Center, JD Redhouse, Savings Bank of Mendocino County, Yokum’s Body Shop for your Support as Season Sponsors! Become a Guest Artists Performance Sponsor for $75! For $100 your name will be included during the run of the production…. For $500 – in addition to the above benefits, your name and logo …. Underwrite our full season! A bigger bang for your buck! For $2000 you will receive….. Play a Leading Role by Supporting the WCT! For 42 years the WCT has been part of the community, bringing live entertainment to audiences of all ages. Join our family of supporters and enhance your business image as a valued member of the Willits Community! 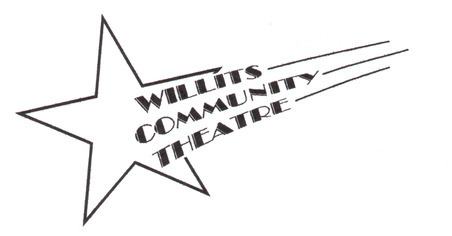 Official Sponsor for Celtic Guest Artist Concerts on the Willits Community Theatre Stage! Contact us for more information on how you can sponsor a Guest Artist concert! use the contact page on this site to email the webmaster!